The growth in mobile video plays over the past year has been breathtaking, according to the report. Total mobile video plays in Q1 2015 increased by 100 percent over Q1 2014, and now account for 42 percent of all online video plays. At the current pace of growth, Ooyala estimates the mobile video viewing will surpass 50 percent on online viewing before the end of this year. 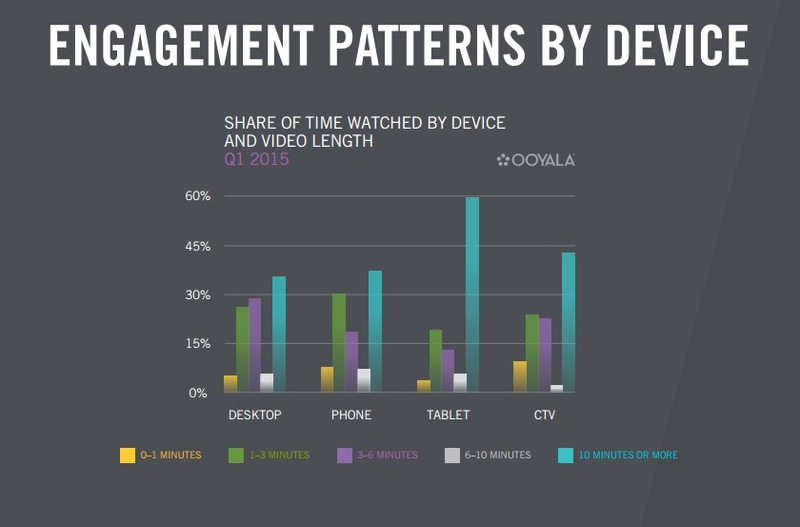 The Ooyala study, however, looked at video viewing across all network types, including fixed broadband networks. Some of the shift in behavior seen in its data is likely attributable to the wider availability of fast Wi-Fi, which has enabled increased mobile video viewing without it counting against viewers’ expensive mobile data plans. Video consumption on LTE tablets, for instance, is 50 to 70 percent higher on average compared to usage on phablets, which in turn is higher than usage on smaller-screen devices, according to the report. 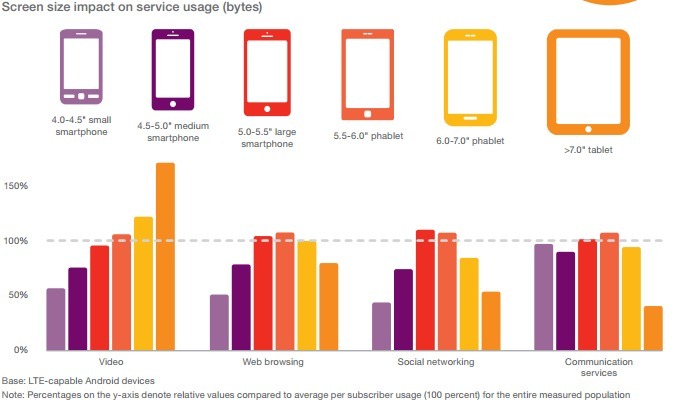 The average LTE tablet user spends 50 percent more time watching videos online than average mobile broadband users. No other type of application showed anything like the high correlation between screen size and usage as seen in video. For social networking and communications services, for instance, usage actually falls below the average for all mobile devices on the largest screen sizes. The takeaway from comparing the two studies is that those most inclined to watch video on mobile devices, and willing to burn data to do it, want to get the biggest bang for their buck in terms of the viewing experience. 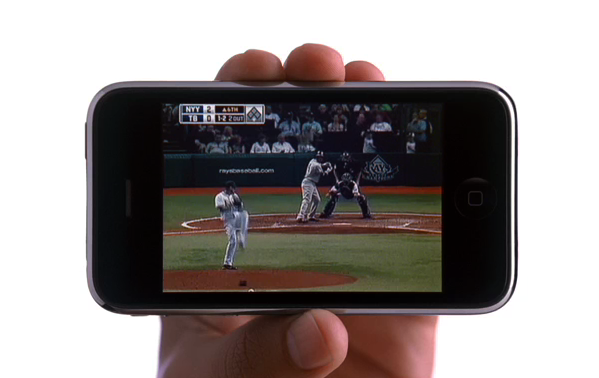 Where you’re not paying directly for the data — or at least it feels as if you’re not paying for it — the quality of the viewing experience, as measured by screen size at least, is not as important (a point underscored by yet another recent study, by the Interactive Advertising Bureau, which found that smartphone video viewers are most likely to watch a video on their phones between 8:00 pm and 11:00 pm, presumably while at home on their home Wi-Fi network). While both the Ooyala and Ericsson studies point to continued growth in mobile video consumption, context will continue to matter. Within the overall universe of mobile video consumption, viewing via LTE has a distinct profile with respect to device preferences and screen size. As technologies like LTE Broadcasting enable higher video loads on mobile networks over the next few years that profile could become even more distinct.